Explore Tampa Bay from the air on a helicopter tour over Davis Island, the Port of Tampa and Hillsborough Bay. After admiring the beautiful scenery, drop down close to the water to watch playful bottlenose dolphins before returning to the Peter O. Knight Airport. Get a bird's-eye view of Tampa Bay and its surroundings on this exciting helicopter tour. 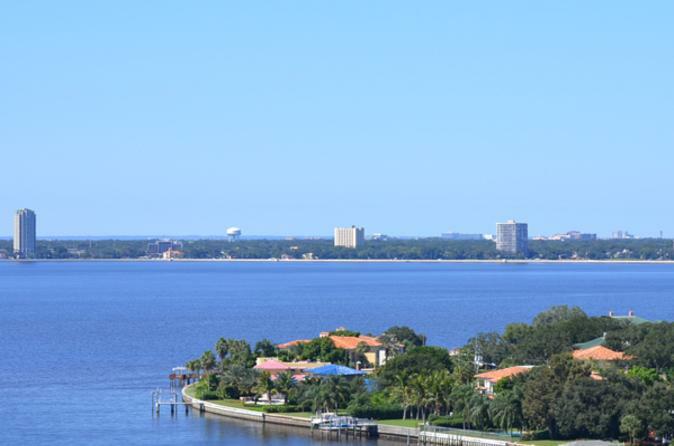 Start off by flying west over Davis Island, where you’ll see beautiful homes along the water. Next, fly near downtown Tampa, past Bayshore Boulevard and over the Port of Tampa, taking in the wonderful views. Before returning to the Peter O. Knight airport, head to Hillsborough Bay where your pilot will lower the helicopter to bring you closer to the water, where you’ll see bottlenose dolphins frolicking about!